Every website comes with a variety of intriguing elements. Of course, you wouldn’t find any lack of it. However, out of all the things that one can have, video sliders are fueling the fire these days. Generally, a video slider is an element that comprises only, or mostly videos instead of simple and static images. You can cover almost any topic of your website through these videos and avail the advantage of high conversion rate. There is a variety of things that you can display in a video slider, be it an online lesson or a tutorial. And then, using a slider for videos instead of a single video also comes with a myriad of benefits. Having said that, here is everything that you must know about using this element on the website. Why are Video Sliders Important? Accordingly, human eyes tend to react to movements almost instantly. 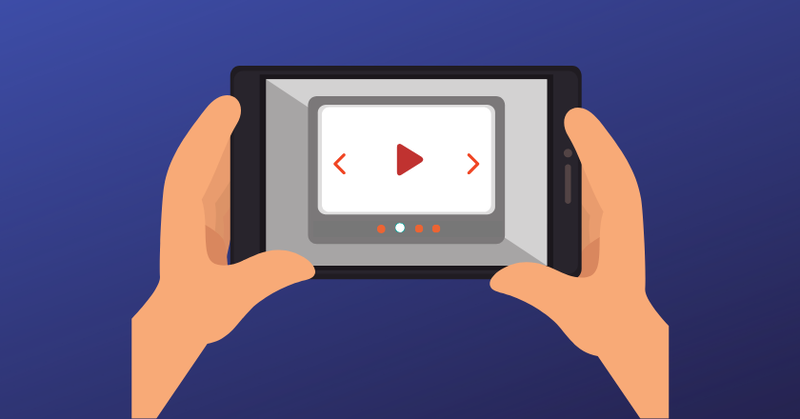 Considering that videos move, they can help attract your website visitors’ attention without any further ado. In this way, you’ll be able to communicate your message rather effectively. Another important aspect of this element is the ability to demonstrate your topic precisely. Whether you want to explain the USPs of your product or service; or you want to let your customers know the advantages of choosing you, everything can be easily done with a video slider. There is obviously a significant reason behind 86% of marketers using videos for their business. Not just that, but a video is said to help you gain 200 – 300% more conversion than any other form. Moreover, videos work better than a chunk of text or a couple of static images displayed on the website. Most definitely, this is one such slider video that you must see in action. The brand, very smartly, is trying to attract visitors so as to take a tour of England on a bus. The fullscreen homepage slider of this company is featuring scrolling video snipped of the countryside and well-known spots for tourists. It also showcases white text and headers, popping against the dark overlay. They’ve also made the lively red CTA button stand out, which helps users to know more about their tours. Even, the slider doesn’t seem to slow down the website in any way. The moment you land upon the homepage, videos start playing on their own, without causing any disturbance. It’s considered as one of the coolest websites on the internet. Not just that, its appearance and designs have also bagged it varied awards and nominations. Out of all the things that could be found on the homepage of the site, you’ll get to see a slider that features three different videos, demonstrating varied messages. They have made their text bold enough to be readable. And, there’s new a play button on each button, leaving the decision of watching the video over you. How to Find the Best Video Slider for Your WordPress Website? One of the first steps to do is figuring out your own requirements. Create a list of features that you’re looking into the plugin. What is it that you want it to do? Are you planning to host videos on external sources? Are you going to export videos from the third-party platform? Are there any specific needs that you have? Match the features with your requirements and then take the decision. Another essential aspect is the customization. If the appearance of the video slider is necessary to you, customization would be as well. Know more about how you can alter the entire look to match it with the theme of your website. What are the transition effects? How can you play with text? How many ways of displaying the CTA button are there? Can you add your logo on the slides? Similarly, find everything and know about each aspect before taking the plunge. And then, keep in mind the money factor as well. Of course, WordPress supports innumerable free plugins that you can consider to have if you don’t have enough budget in your pocket. However, if you wish to take a professional road and want to purchase a plugin with advanced features and functionality, you can also look into premium plugins. Irrespective of the budget, make sure that the plugin is suiting your requirements. The interface is something you cannot compromise with. The easier it is, the better you’ll be able to alter it. Also, if you’re a newbie, this factor becomes even more critical for you as you wouldn’t be able to handle a plugin that is difficult to maintain and manage. Whether it’s a theme or a plugin, responsiveness is something that should be paid particular attention to. Obviously, your target audience would be using a variety of devices to navigate through your website. So, make sure that the plugin is responsive enough to showcase the video slider on different screen sizes with different resolutions. Right from being an attractive testimonial to introducing new products or services, video sliders can help you achieve a variety of goals and objectives. So, make sure that the plugin you’re choosing is competent enough to match your requirements of features. Out of all the plugins, SlideDeck is a considerable one as well. This plugin is equipped with several amazing features and high functionality. Hence, even if you’re a novice, using it would be a plane ride. So, what’s the wait for? Get into the process of finding an adequate plugin, set it up on your website, and create striking sliders to attract your visitors and increase conversion rate.